Doctors' Day decisions: Tales from the pre-MD days - ONRAD, Inc.
Community Spotlight: Farid Shafaie, M.D.  A primary part of Onrad’s culture is working proactively with our clients and partners to achieve success and deliver the highest quality patient care. Our Physicians are a driving force in this process and its clear they are making an impact when their local communities recognize them for their achievements. Dr. Farid Shafaie was recently recognized on National Doctors’ Day in Kankakee’s The Daily Journal. Dr. Farid Shafaie, an ONRAD Regional Medical Director, is a Diagnostic Radiologist with subspecialty in Neuroradiology with a special interest in MSK and Spine MRI. He serves as Chairman of the Radiology Department at Presence Health St. Mary’s Hospital and is active on multiple medical staff committees. His radiology leadership at St. Mary’s also directs Onrad’s teleradiology support as well as an expanding interventional radiology program. Presence St. Mary’s Hospital is an acute care facility with a Level II Emergency/Trauma Center serving Kankakee and surrounding counties that provides compassionate care, state-of-the-art technology and award winning patient safety to the community.